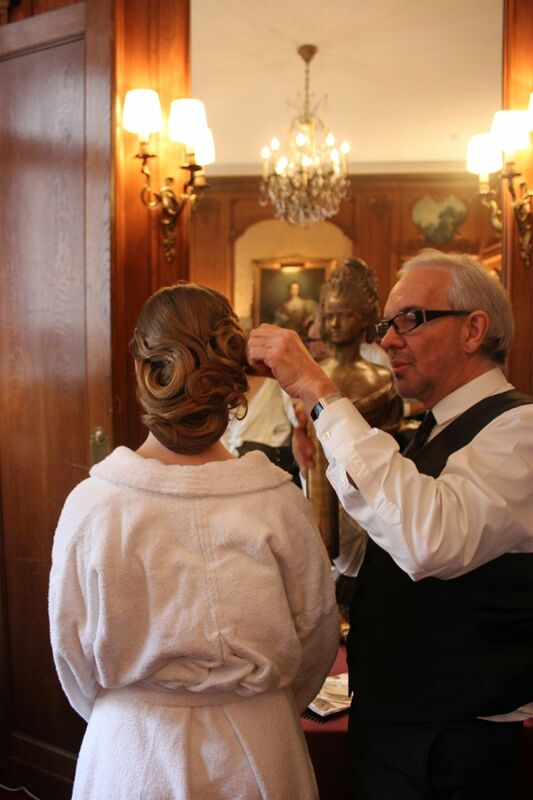 For over twenty years Alexandre de Paris has been the official hairdresser for the Debs’ Ball. The event was held on 29 November 2014 at Palais de Chaillot and the young ladies were got ready on the same day in the rooms of the Hotel Raphaël. Earlier in November, Jean-Luc Minetti, Artistic Director of Alexandre de Paris, and his team styled the hair of two French debutants for a photo session organised in the heart of Paris. HRH Princess Elisabeth of Bourbon-Princess of Parma and Margot Massenet entered the sanctum of Alexandre de Paris in the golden square, 3 Avenue Matignon. As part of an international event like the Debs’ Ball, the Alexandre de Paris creative team is carrying on Monsieur Alexandre’s tradition of an aristocratic clientele. The teams meet up to get the debutants ready for the event in the highly select Hotel Raphaël, a model of French luxury with a unique décor. This year, no less than 23 wonderful styles were designed for the 23 debutants, stars of the evening at this grand ball. Alexandre de Paris also works alongside great couturiers such as Dior, Chanel, Elie Saab, Alexis Mabille and Stéphane Roland who lend Haute Couture gowns to the debutants every year for the Ball. This event highlights the indestructible link between Haute Coiffure and Haute Couture, a showcase of French skills and excellence.